If you read your bible often, then you would know of Mount Carmel…Today, we learn about the caves found on this biblical mountain. Note that these caves have been listed into the UNESCO World Heritage Sites. The four caves of Mount Carmel include Tabun, Jamal, El-Wad and Skhul. The cave’s terraces are clustered next to each other on the southern side of Nahal Me’arot Valley which opens to the coastal plain on the western end of the Carmel range. It is a classic example of a prehistoric habitat. This location is one of the best conserved fossilized regions of the Mediterranean region. It is home to fossils that represent over 500,000 years of human evolution, a period that spans from the Lower Paleolithic to present day. It is a definite chronology of key periods of human development. Trust me; very few archaeological sites can match the history that is found in Mount Carmel Ranges and its surroundings. The site gives insightful lessons on the appearance of modern man, tombs and burial sites, early stone architecture as well as the general shift from hunter gatherer communities to agriculture. The complex’s features of outstanding value include 4 caves, unexcavated deposits, terraces, artifacts and skeletal material. Other historic features include Nahal Me’arot/Wadie el-Mughara landscape that is home to the prehistoric caves of El-Wad. Not to be left behind is the ever popular Natufian Hamlet. Israel is one of the most famous destinations in Middle East, only rivaled by Dubai in UAE. It is cheaper compared to Dubai and has more attractions. If you are looking for a place to take your family on a summer holiday, Israel should be your destination. In Israel, your first stop should be the Mount Carmel Caves…but first you ought to read the story of Elijah and Mount Carmel in the good book (1Kings 18)…trust me; it is an interesting read, and an even more interesting tour. 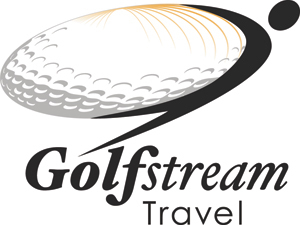 Golf Stream Travel will help you plan your trip to Israel.